Tell me about it. 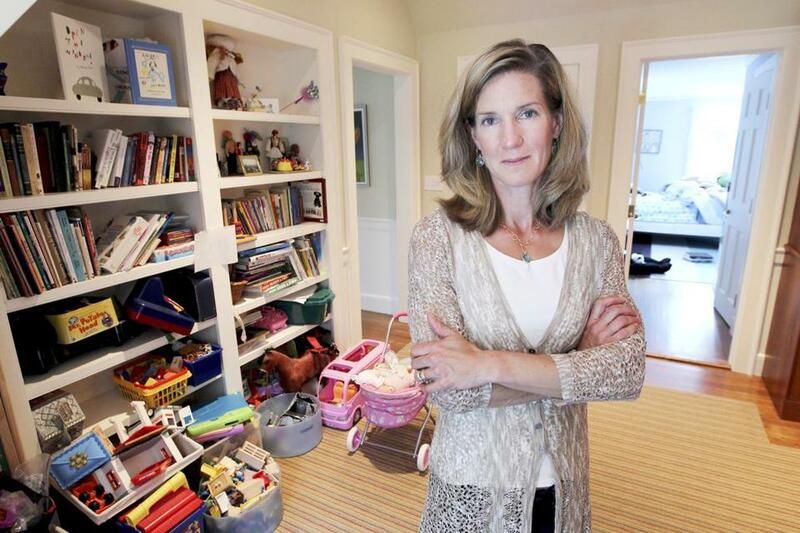 That sums up Boston parents’ reaction to new research by UCLA-affiliated social scientists concluding that American families are overwhelmed by clutter, too busy to go in their own backyards, rarely eat dinner together even though they claim family meals as a goal, and can’t park their cars in the garage because they’re crammed with non-vehicular stuff. •PPU The rise of Costco and similar stores has prompted so much stockpiling — you never know when you’ll need 600 Dixie cups or a 50-pound bag of sugar — that three out of four garages are too full to hold cars. • Managing the volume of possessions is such a crushing problem in many homes that it elevates levels of stress hormones for mothers. PEven families who invested in outdoor décor and improvements were too busy to go outside and enjoy their new decks. The scientists working with UCLA’s Center on Everyday Lives of Families studied the dual-income families the same way they would animal subjects. They videotaped the activities of family members, tracked their moves with position-locating devices, and documented their homes, yards, and activities with thousands of photographs. They even took saliva samples to measure stress hormones. The goal, said Jeanne E. Arnold, lead author and a professor of anthropology at UCLA, was to document what is right in front of us, yet invisible. Arnold said she admired the way the families coped with their busy lives, but even so, the $24.95 book (available on Amazon) presents a frightening picture of life in a consumer-driven society, with researchers documenting expensive but virtually unused “master suites,” children who rarely go outside, stacks of clutter, and entire walls devoted to displays of Beanie Babies and other toys. Arnold said she was bothered most by the lack of time study subjects spent enjoying the outdoors. The researchers studied families in Southern California, but Boston-area families report the same challenges. Let’s let Katy Colthart, a social worker from Watertown, take it from here. Shopping at Target on a recent Sunday afternoon, she said with some remorse that she finds herself popping frozen chicken nuggets into the oven for dinner — even though she knows they don’t save her much time. But with a job and two young children to pick up from day care, things get hectic at the end of the day, and prepared foods give her a much-needed mental break. 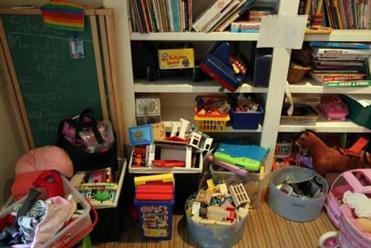 The researchers, working with funding from the Alfred P. Sloan Foundation, were struck by the number of toys American children have managed to score from parents, grandparents, and friends. In the “Material Saturation: Mountains of Possessions” chapter, they report that our country has 3.1 percent of the world’s kids — and 40 percent of its Little Tikes EasyScore basketball hoops and other toys. Many of them belong to 2-year-old Anjellisa Redfern. Her Newton bedroom is full of Dora-themed puzzles and dolls, and a kitchen set with 400 accessories. “But she doesn’t want to play with them,” said her mother, Anjelica. “She wants to be on the couch watching TV,” where she sees commercials for more toys to eventually ignore. With that, she pushed her bulging cart toward the store’s cash register. The circle of life continued.